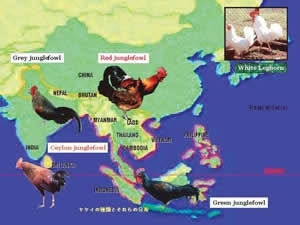 Goto T, Ishikawa A, Onitsuka S, Goto N, Fujikawa Y, Umino T, Nishibori M, and Tsudzuki M, (2011) Mapping quantitative trait loci for egg production traits in an F2 intercross of Oh-Shamo and White Leghorn chickens. Anim Genet 42: 634-641. 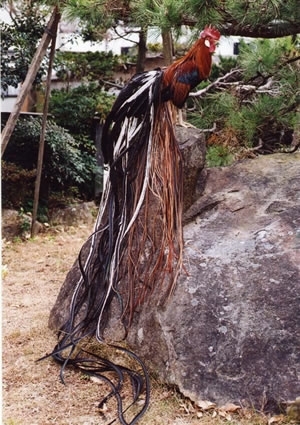 Tsudzuki M, (2008) Mutations of Japanese quail (Coturnix japonica) and recent advances of molecular genetics for this species. J Poult Sci 45: 159-179. Osman SAM, Sekino M, Nishihata A, Kobayashi Y, Takenaka W, Kinoshita K, Kuwayama T, Nishibori M, Yamamoto Y, and Tsudzuki M, (2006) The genetic variability and relationships of Japanese and foreign chickens assessed by microsatellite DNA profiling. Asian-Aust J Anim Sci 19: 1369-1378.